Visual tours are becoming more and more popular in the digital age, and with good reason. They allow you to save lots of time in your marketing efforts. Videos also do very well on social media. People are just busier than they were in the past and would much rather watch a 2-minute video than read through a packet of information. Companies have a shorter amount of time to get their message across, and video marketing allows them to get more bang for their buck. 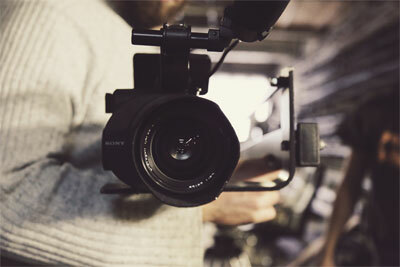 It takes a short time to produce a video, but after that, the time saved is immeasurable. How much time do you put into written marketing now? Each website page takes time to write. If you’re present on social media – and you should be! – you’ve probably got a lot of time into crafting those messages as well. (I’m not even counting Facebook distractions. We’ve all been sucked in by the memes and drama a time or two!) Next, take into account any brochures or packets you might have that you snail mail. That is a LOT of time and money spent. A video is one and done. Or two and through. Or three and let it be. Four and no more? You can keep going forever if you want to! You’re also saving your customers time, and that’s something they’ll appreciate. A video lets customers know if your business is a good fit or not before they waste their time and yours. Let’s say you’re a real estate agent. If I can look at a video of the property before I take the time to visit, I’m going to watch it, ten times out of ten. I don’t want to waste your time or mine calling, leaving a voice mail, waiting to be called back, driving there, and then getting a sales pitch for a house I’m not interested in. That long and drawn out sentence is equivalent to how the process feels. Video tours save time for everyone involved. Rule number one: Time is money. Videos are also easily shared in seconds. While I may not be interested in your business, I might have a friend that is, and if I can send them a link to it on social media somehow, it’s an easy referral. On the other hand, if you’re showcasing something completely awesome, I might share it with everyone I know just because it’s awesome. Videos go viral all the time, and if you’ve got an amazing place, it won’t be long before the world sees it. You could be unknown in Minneapolis in the morning and have Ellen calling you by dinnertime. Video tours are changing the way people view real estate, fitness facilities, skilled nursing facilities, restaurants, and many other types of businesses. Tap into this valuable market now, and you’ll reap the benefits for years to come. Let’s talk about your needs!